Our company is one of the leading Frozen Indian Curry Suppliers in the country. They are available with us in varied flavors and grades. They are formulated of superior-grade ingredients under hygienic conditions. 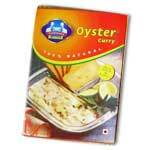 Buyers can purchase Frozen Indian Curry from us at market leading prices and place bulk order anytime of the year. Ryan'n Gens Enterprises Pvt. Ltd.